With an advanced user interface, the 5402 digital phone's 2 line, 24 character display eliminates the need for paper labels. 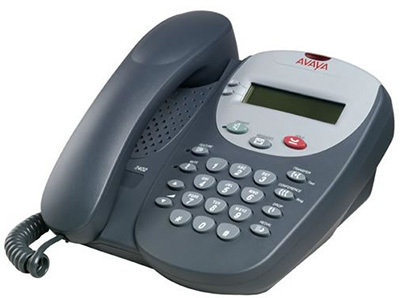 High-end feature set with productivity local call log & speed dial directory. Note: IP Office offers only limited support for the 2402. The display on the 2402 is not supported on IP Office. If full display functionality is needed we recommend the 5402. 2 programmable call appearance/feature keys. Note: An additional 12 programmable feature keys can be accessed via the FEATURE key (not suitable for call appearance features).